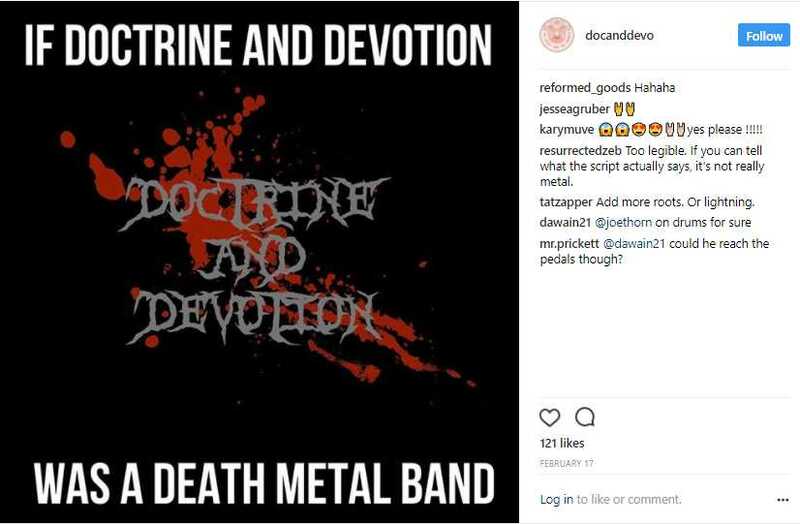 BYRON CENTER, Mich. — In a move that some would say is counter to its mission of “calling the church … to repent of its worldliness,” The Alliance of Confessing Evangelicals has invited an unorthodox pastor and podcaster who espouses a love for all things dark—from horror movies to death metal to dark fiction—and whose “Pastors in Cars Smoking Cigars” series and other videos reflect his love and promotion of cigars, bourbon and tattoos, to speak on justification and the Christian life at its upcoming Reformed theology conference. 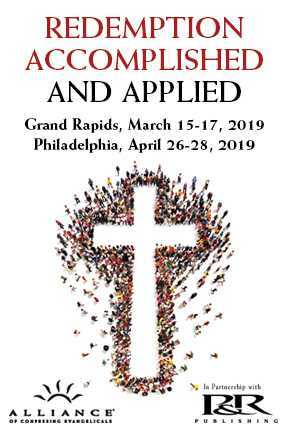 On March 16, Thorn is scheduled to speak at the “Redemption Accomplished and Applied” conference at the First Christian Reformed Church of Byron Center, Michigan. He will be leading a session on “Justification Through Faith Alone,” as well as a workshop on “The Cross and the Christian Life.” Other speakers will include Liam Goligher, Ian Hamilton and David Murray. Thorn leads Redeemer Fellowship in St. Charles, and is the author of the books “Note to Self: The Discipline of Preaching to Yourself,” “Experiencing the Trinity: The Grace of God for the People of God,” and “The Life of the Church,” “The Heart of the Church” and “The Character of the Church.” He is a graduate of Moody Bible Institute, which published his Church trilogy under its Moody Publishers label. Thorn, who co-hosts the podcast “Doctrine and Devotion,” is known for often being pictured or filmed smoking a cigar. 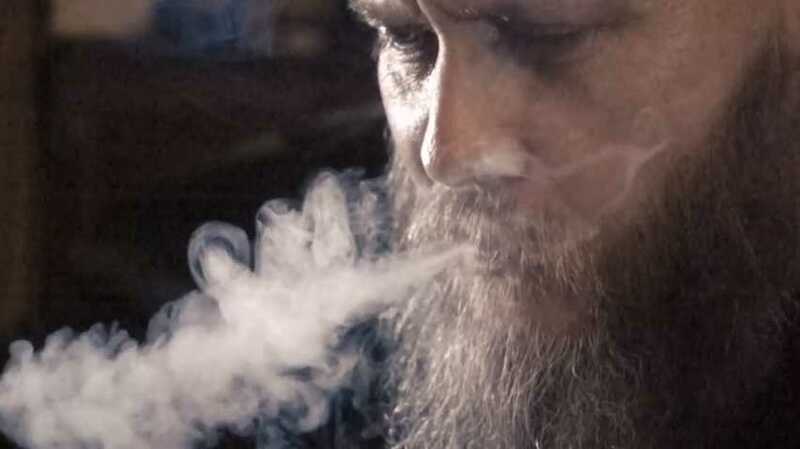 In 2017, Thorn posted a series to his YouTube channel entitled “Pastors in Cars Smoking Cigars,” during which the two engaged in banter about various subjects before delving into the topic for the video. “Why would you know the Thong Song?” Thorn asked, then turned up the music for a moment and rocked to the beat. “Do you know the lyrics?” he asked. “No, of course not,” Fowler replied. 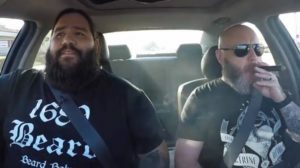 The video then cuts to a clip of the two breaking out singing “let me see that thong” as they cruise down the street jamming, with Thorn holding on to his cigar. In another video, the two discussed a friend’s going away party for his daughter. 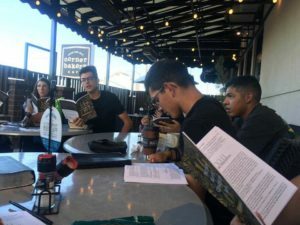 “[I]f somebody says, ‘Wow, that’s weird that you as a Christian, you’re going to drink alcohol and stuff—that’s really distracting,’ then just don’t drink alcohol in front of them. There’s a weaker brother issue. 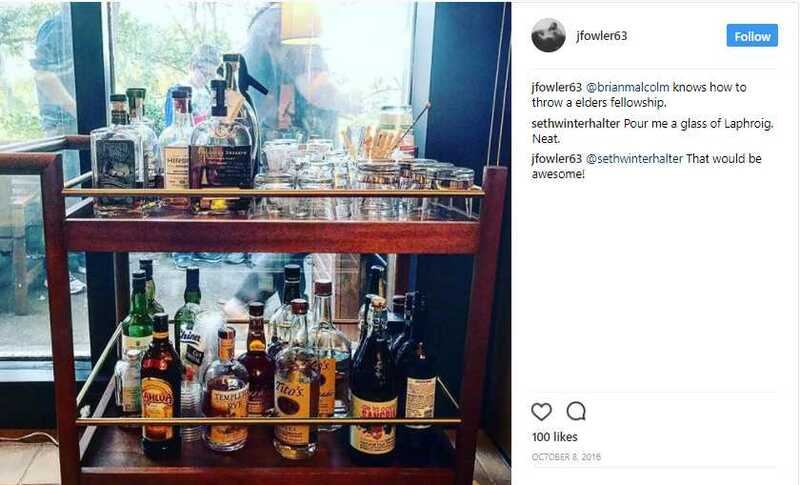 But, if somebody says, ‘Christians cannot drink alcohol,’ that’s when you bust one open in front of them and you chug it in their face, maybe spill some on them if necessary,” Lanphere stated during a 2015 episode. 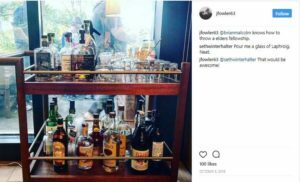 “I think [the Apostle] Paul would say, ‘I’m not going to drink Blanton’s bourbon around people who might stumble over it.’ But if somebody said, ‘You can’t drink Blanton’s and be a Christian,’ Paul would pour himself a double, I believe, and he’d be like, ‘Hey, what’s up? '” Thorn similarly remarked. The current Facebook profile photo for the podcast features a parody drawing of the “Banner of Truth” publishing logo, which depicts Thorn holding a lit cigar and Fowler raising a glass of alcohol. “We hear about several ways that a female serial killer murdered her victims. At one point, a girl sets a fire to kill a man, and we hear him yelling in pain from the building. A woman tries to kill her child with an overdose, and herself with a bullet, when she finds that her child’s a killer,” one description of “The Bad Seed” outlines. Thorn returned as a guest later that year to talk about the horror flick “The Witch,” an R-rated religious-themed film set in early 1600’s Puritan New England described by Rolling Stone as an “otherworldly combination of infanticide, full-moon blood rituals, and an animal imbued with the spirit of Lucifer himself.” By the end of the film, the teenage daughter joins the levitating witches in the dark forest. In August 2017, Thorn appeared on a podcast that was later entitled “Joe Thorn Loves the Darkness” as he was asked about his various interests, which included horror films, cigars, bourbon and heavy metal music—including “melodic death metal,” noting that “95 percent” of his listening is heavy metal music. 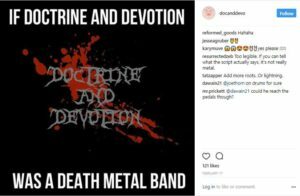 When asked for recommendations, he provided Insomnium and Septicflesh as examples. When host Stephen Altrogge joked about trashing an apartment, Thorn cited Skeletonwitch. “See, I don’t love like—maybe this is a slight difference, but I don’t love [novels] that are massively creepy,” Altrogge stated. “Yeah, that’s what I like,” Thorn responded. “You don’t always read fiction, but when you do, it’s dark and murderous,” Altrogge also remarked during the podcast. “Somebody’s gonna die. A lot of people are gonna die,” Thorn replied. Thorn cited that perhaps he likes darker fiction because he has had an interest in horror films from childhood. He further remarked during the podcast that he is drawn to the darker material because he is reminded of the “human fallen condition” and that Christians have victory over the darkness. Thorn was formerly into Satanism and the occult. He further noted that speakers are selected and vetted by an advisory group and steering committee. “Joe [Thorn] is a fully ordained gospel minister under the direct supervision of a rightly established church and there is not an issue with either of those processes; there are no charges, censure, or otherwise,” Brady said. Read the Confession in full here. 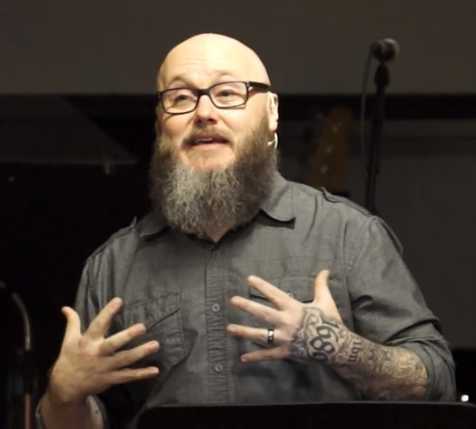 Brady stated that the cited aspects about Thorn—from his love of horror, heavy metal and dark fiction, as well as his persona revolving around cigars, bourbon and tattoos—remind him up of his prior experience with fundamentalism. “[T]he call to avoid [these things] remind me of what I heard in my fundamentalist upbringing. Upon my own study of the Bible, I can’t find clear rebuke, but warning of excess,” he said. The Alliance of Confessing Evangelicals was birthed out of the work of the late pastors Donald Grey Barnhouse and James Boice, who led Tenth Presbyterian Church in Philadelphia. 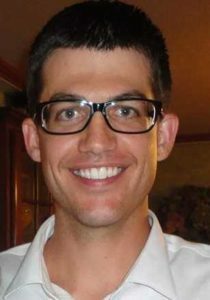 Ryan Denton, an ordained Baptist minister who serves as an evangelist with Old Paths Church in El Paso, Texas and has taught on the 1689 Confession, told Christian News Network that he disagrees with the Alliance’s view. He pointed to Hebrews 12:1-2, which states that Christians are to “lay aside every weight” that keeps one from running the race properly. Numerous requests surrounding the questions submitted to Thorn were not returned.